I love the big cart of watermelons parked out front; I love the wet, saucy ribs that have spent Lord knows how long in a gas oven; I love the camaraderie from the workers and I love the fat soul food plates at lunch time. 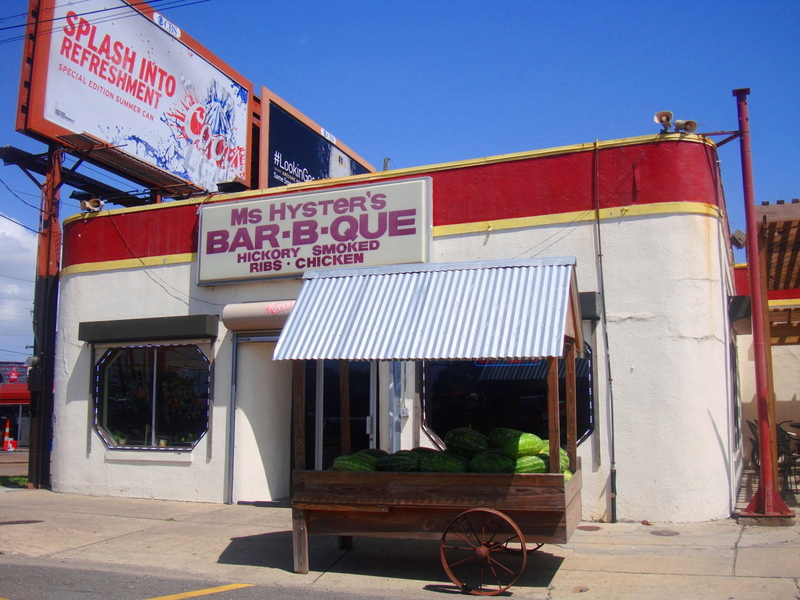 Ms Hyster’s is the antithesis of Central Texas barbecue but sometimes a plate of baby-soft pork ribs with a brace of decent sides really hits the spot. This entry was posted in Louisiana Daily Photo and tagged 2000 S Claiborne Ave, LA 70125, Louisiana Daily Photo, ms hyster's bbq, New Orleans, rl reeves jr. Bookmark the permalink.